The task of finding, training and retaining staff members continues to challenge the rental housing industry. Talk to upper-level management in nearly any part of the country and they will fret about the one they can’t find or the one that got away. 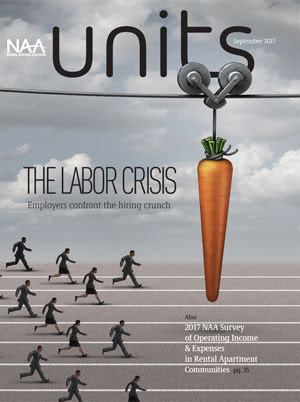 This month, units Magazine is here to help: Our cover story, “The Onsite Hiring Crisis,” reports on just how tough it has been, but also reveals how some companies are making headway with head count.